Lulu is a curious, "independent calf with a lot of spirit," according to lead keeper, Katie Ahl. Photo: Jeremy Dwyer-Lindgren/Woodland Park Zoo. Today is Lulu's half birthday! 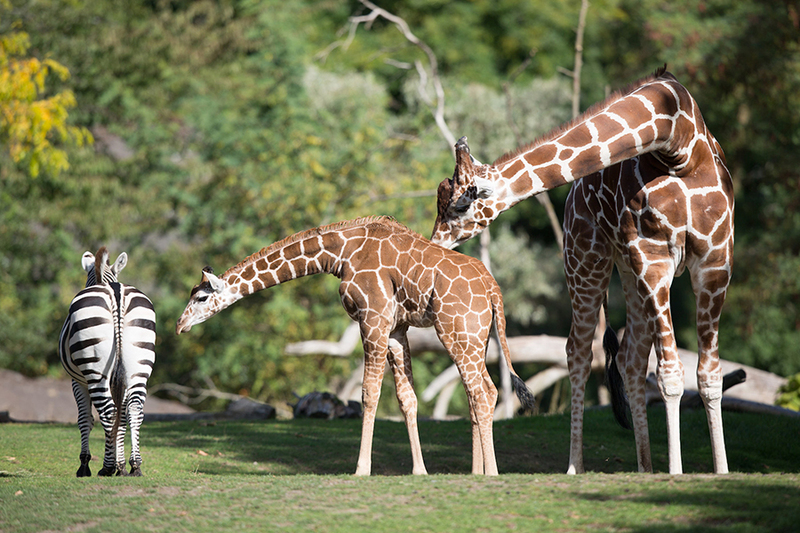 In honor of the special day, we asked lead keeper Katie Ahl for an update on Seattle’s tallest baby. Woodland Park Zoo (WPZ): How is Lulu doing? Katie Ahl (KA): Lulu is doing great. She was introduced as part of the herd from very early on and has positive relationships with each herd member, but in general she is a very independent calf with a lot of spirit. WPZ: Can you describe Lulu’s relationship with the rest of the herd? WPZ: Speaking of the herd, how are they doing? KA: They’re doing well. 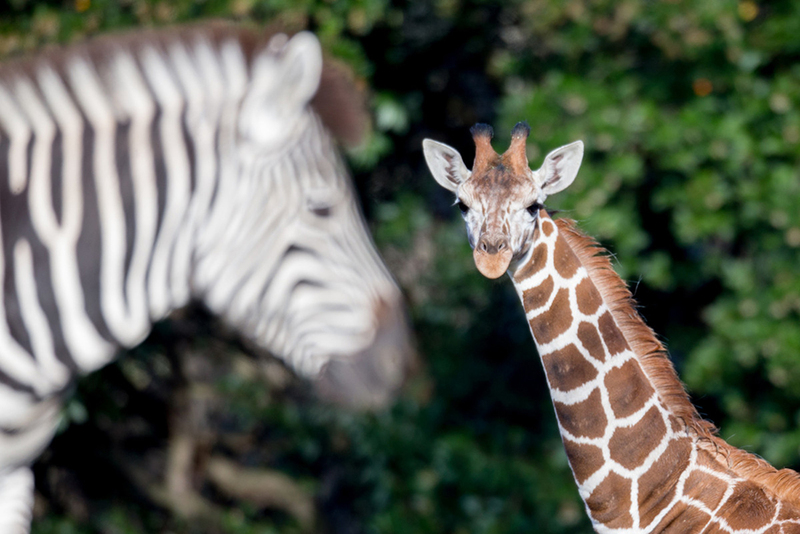 We just received our new breeding recommendations through the giraffe Species Survival Plan (SSP) and we will be allowing Dave and Olivia to breed this winter! WPZ: How has Lulu changed over the past 6 months? KA: When Lulu was born, she weighed in at 149 pounds and was 5 feet 9 inches tall. When we weighed her earlier this month, she was up to 566 pounds and now stands between 8 ½ and 9 feet tall. While she’s continuing to grow, one thing that hasn’t changed since she was born is her independent personality and her curiosity. She’s very curious about everything; food, rakes, keepers (you name it), and we’re using that to our advantage to get her exposed and used to as much as possible so that she will be better prepared for life at another zoo one day. Lulu is still nursing, but also eats all the same items as the other giraffe; she even gets her own portion of grain and beet pulp, and as she grows and weans we will increase that amount. She also has access to the whole barn and corrals daily and, when the weather is good, she and the rest of the giraffe go to the savanna for a few hours. They spend less time on the savanna in the winter, but they are often viewable at the barn. May you never outgrow your curiosity, Lulu. You either, Dave. Photo: Jeremy Dwyer-Lindgren/Woodland Park Zoo. WPZ: Training is a great way to get animals to actively participate in their own care. Is Lulu doing any sort of training with her keepers yet? Shift training: getting Lulu to move voluntarily to where we need her is a foundation to other training. She is also learning to be away from the rest of the herd (but can still see them) for short periods of time. We use that time to feed her and do training sessions with her. Tactile/touch desensitization: being able to touch her neck back and legs are helpful for exams and hoof trimming. Scale training: getting Lulu to step up and stand on the scale on cue. That way we can track her weight and growth. She’s a pro at this. Target training: Asking the animal to touch part of its body to an item so that we can direct them to certain parts of the barn or direct certain parts of their body to a certain location. For giraffe the target is a large red pool float on a stick and we ask them to touch their nose to the target. One use of this would be to hold the target close to the scale so as she moves to the target she steps on the scale. This helps us build other behaviors. Chute training: getting her comfortable with staying in an enclosed area for physical exams is very helpful for her health and well-being. Training her to do this voluntarily as part of her regular routine lessens the stress of those exams by making them feel normal and every day. We’ll begin adding hoof trim training, and maybe ultrasound or eye and ear exam training too. But not before we work on everything else first. Inside the barn, Lulu touches her nose (and tongue!) to a target as part of her training. Photo: Katie Ahl/Woodland Park Zoo. WPZ: Thanks so much for taking the time to chat with us, Katie! And thanks to our readers for joining us for the update. Lulu and family are often out daily, either on the savanna or in the corral. Be sure to visit! Sparkling colors and magical scenes draw many families to explore Woodland Park Zoo's WildLights. This year, in addition to welcoming members and visitors—the zoo's Community Access Program invited some very special community members to share in the magic of the season. Our friends from White Center CDA, thank you for joining us! 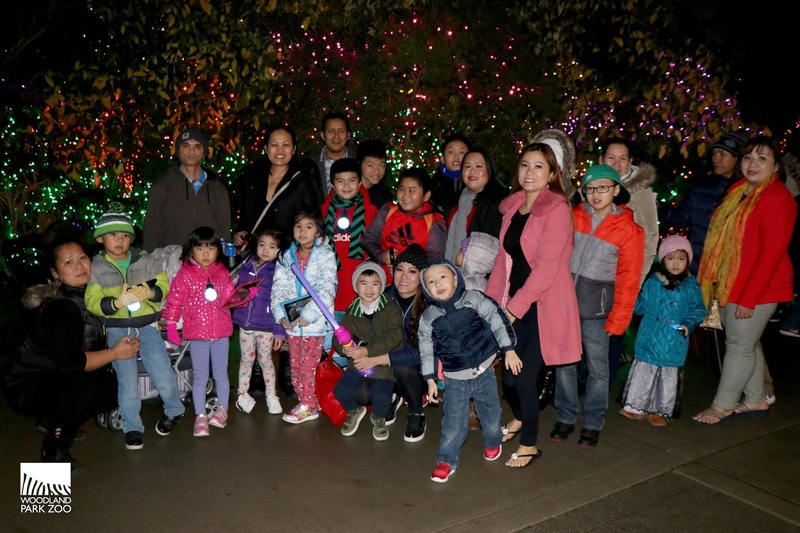 The weekend after Thanksgiving, the zoo invited more than 50 community partners to attend WildLights presented by Sound Credit Union. 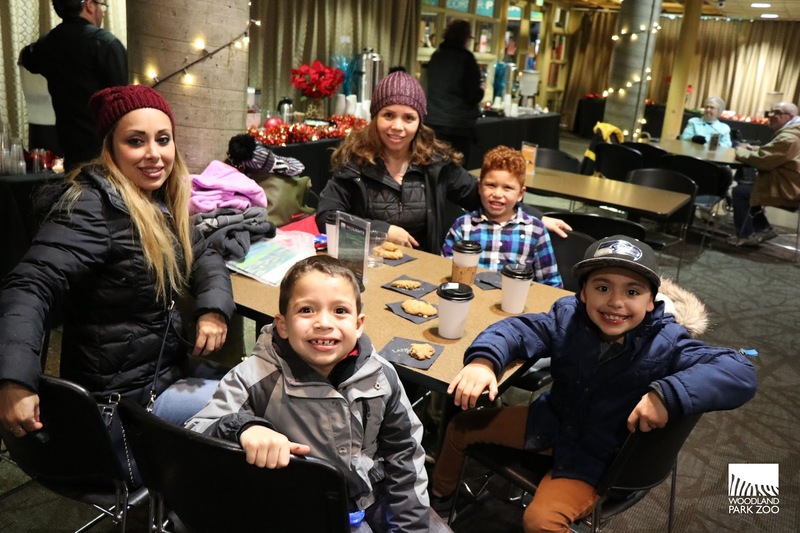 These local organizations serve low-income, at-risk or underserved children and families in our shared community and include organizations such as Mary's Place, Ryther, Big Brothers Big Sisters Puget Sound, Sibling House, White Center CDA, Youthcare, Treehouse and more. 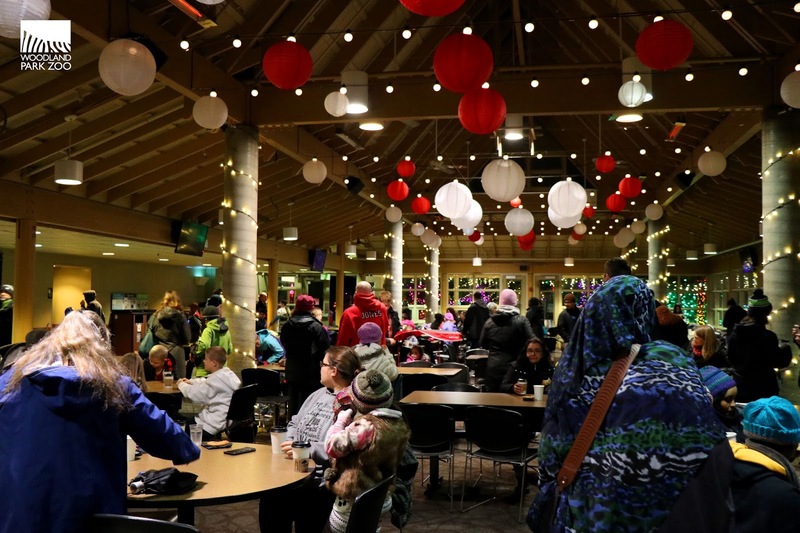 By partnering with these organizations over the Thanksgiving weekend, the zoo welcomed more than 3,000 attendees to our Community Access Program WildLights nights. We believe that all kids should be able to come to the zoo and work with over 600 community partners and local organizations to make free visits to the zoo possible for more than 50,000 people every year. 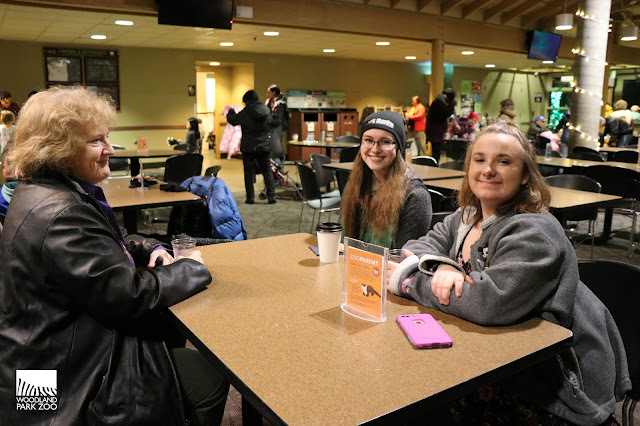 During the winter season, it's more important than ever to reach out to those in need and offer a warm and welcome space. As well as providing complimentary WildLights tickets, the zoo invited guests to enjoy warm refreshments in a private space, offered special animal encounters with Benin the hedgehog and Buddy the pharaoh eagle-owl, shared conservation games led by our ZooCorps teens and provided items donated to our cozy clothing drive. In addition, we were absolutely thrilled to be able to offer many of our guests complimentary shuttle service to and from the event, thanks to a generous partnership with our amazing friends at Starline Luxury Coaches. While it fills our hearts with joy to open our doors to the community, we could not do so without support from members, volunteers and donors. The Community Access Program's mission is to reach out to those in our community who would not otherwise be able to experience a zoo visit. Our partnerships with 600+ human service organizations across Puget Sound make this mission successful. We want to thank our partners for their participation in this program and we'd like to thank you for making programs like this possible. With each zoo visit and membership, you support a zoo that supports its community. As a reflection of the wide support that makes our world-class zoo so strong, the Community Access Program (CAP) is dedicated to making the zoo more accessible to low-income, at-risk, or underserved children and families in our shared community. We believe time spent with wildlife is educational, motivational and restorative. It is our goal to make such experiences possible to as many people as possible regardless of their economic circumstances. 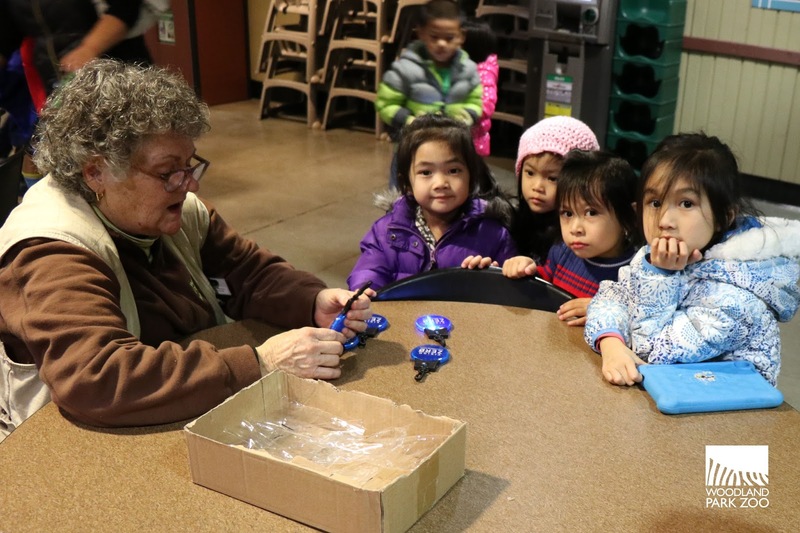 Here are a few of our favorite photos from our WildLights Community Access Program nights. From ours to yours, we hope this season is full of community, family, a spirit of giving and a whole lotta' hot chocolate. Best part of the night? Cookies of course! Thank you Lancer catering! Rain Forest Pavilion made a very festive spot to warm up between WildLights! 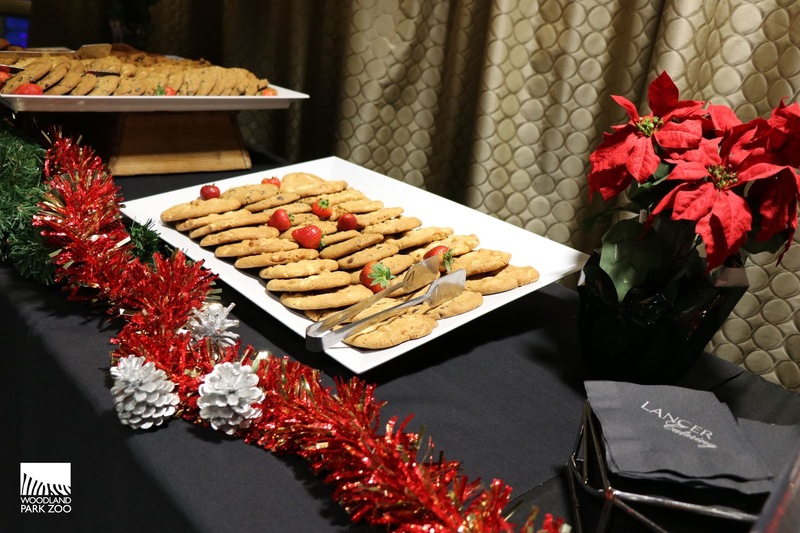 We want to extend a heartfelt thank you to Lancer Catering for their beautiful spread of holiday cookies, hot cocoa and coffee. 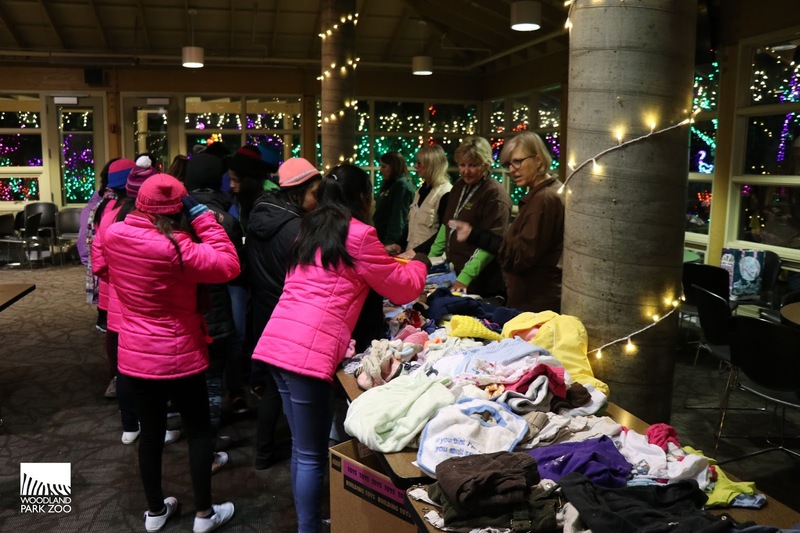 We would like to give a huge shout out to the many generous donations from staff and zoo volunteers who emptied their closets and bought brand new items for our cozy clothing drive. 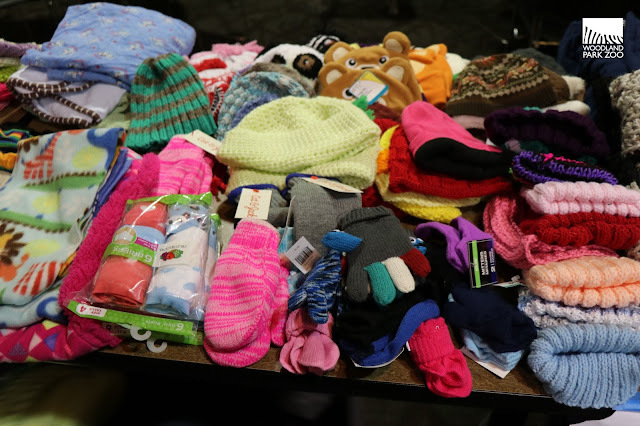 There were so many beautiful hats, scarves mittens and coats—we could not count them all. 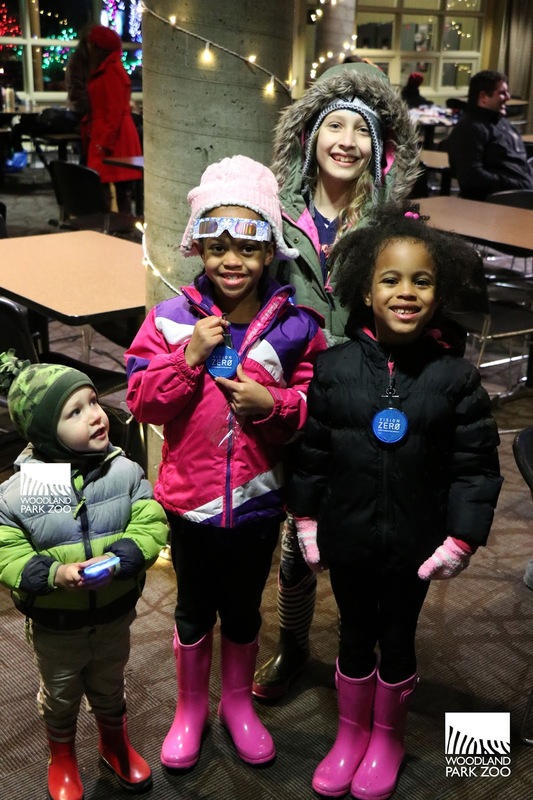 Guests were able to collect the clothing items they needed and then head out to enjoy the lights. Piles of cozy clothing items. Thanks to our lovely volunteers and ZooCorps teens for an awesome event! A zoo volunteer helps light the safety sparkle lights provided by Seattle Department of Transportation while some curious kiddos stand by. Special thanks also go to Seattle Department of Transportation for bringing a sparkle to each night with a wonderful gift of safety lights! Guests were able to take the clip-on lights home with them and hopefully make walking or riding a safer experience for all during the dark winter months. When asked, the best part of the night was spending time with family and taking in the lights. Special thank you also goes to Starline Luxury Coaches for safe and warm transportation to the zoo! Among the major barriers to access is an inability to travel to the zoo, especially during the cold and dark winter months. We were able to provide access to new members of the community by providing safe, warm transportation to our Special WildLights event. In order to make this weekend accessible to as many children and families as possible, Starline Luxury Coaches offered two full-size busses each night for organizations such as Mary's Place, Solid Ground and ADWAS. 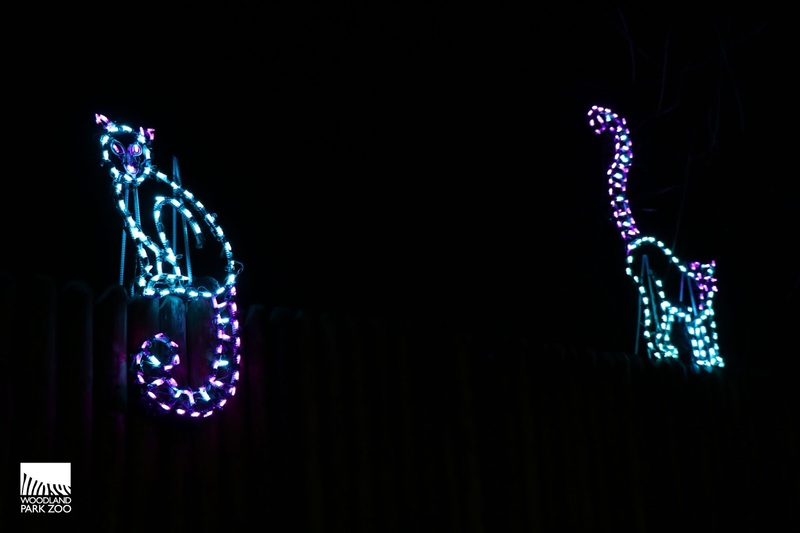 A couple of brightly lit lemurs welcome guests. The burden parents feel when they are experiencing housing insecurity, food insecurity and financial stress is immense. Their number one concern is, “how is this affecting my child(ren)?” “Is this going to screw them up for life?” When they have the opportunity to visit an event like WildLights—where a kid can delight in the wonder of Woodland Park Zoo—parents are flooded with relief and reprieve from the ‘heaviness.’ Being able to enjoy a night out—like a “normal” family is profound in a way most people can’t understand, and we are so glad that Woodland Park Zoo gets that. Thank you. 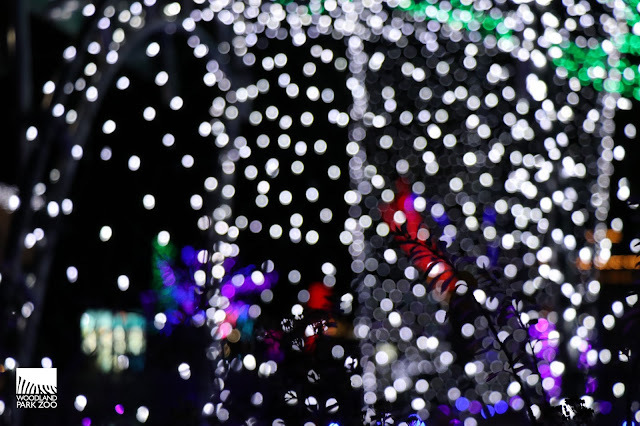 To share in the joy and magic of the season with your family visit WildLights presented by Sound Credit Union. For details visit www.zoo.org/wildlights.